The recent death of legendary pro wrestler Dynamite Kid has saddened fans all across the world. The Kid was highly respected for his grit and his smash-mouth style, both of which inspired an entire generation of pro wrestlers that followed after him. 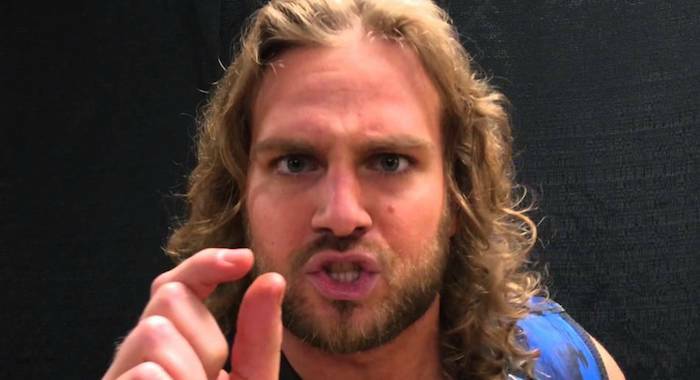 New Japan Pro Wrestling Star Hangman Page recently added to his Instagram story, revealing that a match against Davey Boy Smith Jr included a tribute to The Dynamite Kid. Page teamed with Yujiro Takahashi against Smith and Lance Archer in that match, which took place on December 6. The tribute was in honor of The Kid’s classic matches against legendary Japanese star Tiger Mask from 1982. Page was working Tiger Mask’s spots while Smith was filling The Dynamite Kid’s role. Davey Boy Smith Jr is of course the son of Kid’s former British Bulldog tag team partner.The British Bulldogs are considered one of the best tag teams to ever compete in WWE. Page and Smith are both enjoying high-profile careers in New Japan, which is a company that continues to grow around the world.